In 2007, Austin McChord decided to take some time off from earning his degree at Rochester Institute of Technology and return to his parents’ basement in Connecticut where he built Datto, a business continuity, disaster recovery, and business management software company. By 2015, McChord had landed on the Forbes 30 Under 30 list. 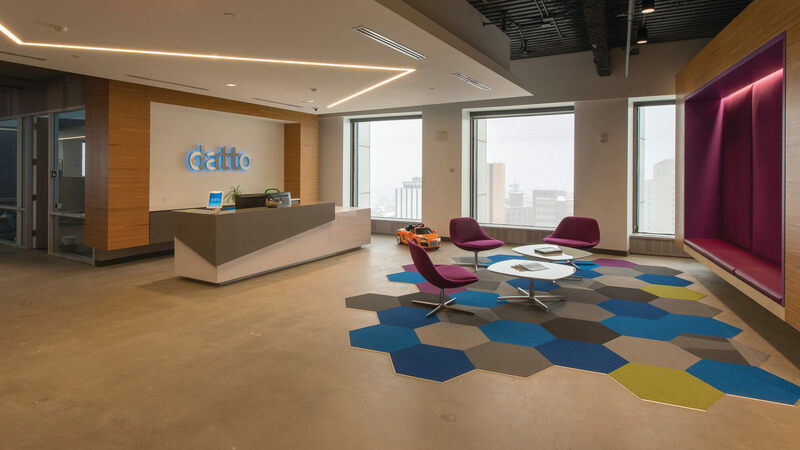 As of 2019, Datto – which merged with Autotask after being acquired by Vista Equity Partners in 2017 – has 22 locations and more than 1,500 employees worldwide, including nearly 300 workers at its Rochester office which expanded in 2018. With that kind of growth, the company has transformed from a startup firm into a globally renowned company that’s at the forefront of an important industry, named as one of the “20 Coolest Cloud Storage Vendors” in CRN’s 2019 list of 100 Coolest Cloud Computing Companies. The secret to Datto’s success lies in the company’s primary offerings; the best in enterprise-level technology for small and midsize businesses provided through a unique community of managed service providers, or MSPs. MSPs enable small and midsize businesses to focus on their core business operations while the MSP takes care of their IT estate, securing critical systems and data. In a world where a well-run computer network translates into both dollars and customer loyalty, Datto has found a way to inspire that crucial and elusive aspect of business for its clients — trust. After nearly 11 years of running his startup-turned-global-technology-company, McChord stepped aside from a day-to-day management role and in early 2019, Tim Weller, a seasoned veteran in the technology space and who previously held the role of President & COO of Datto was named Datto’s new CEO. McChord remains active with the company, both as a board member and through work on other company projects. Back when Datto decided to open a new location to house Datto’s customer support team, he thought of Rochester, a place he’d been fond of since his college years. Then he heard about a new program launched by New York State to help businesses grow – START-UP NY – and decided to apply. Datto became START-UP NY’s first participant in the Finger Lakes region and the company soon realized that the new Rochester office could be even bigger than initially planned. “The partnership between the university and the State has been incredible in allowing us to build out a really strong presence,” McChord said about Datto’s partnership with RIT and New York State, and its influence on his new site. In 2017, McChord, a 2009 graduate of RIT, donated $50 million to his alma mater, the largest donation in the school’s history, to fund creative entrepreneurship initiatives and to support scholarships and research in cybersecurity and artificial intelligence. “Rochester is a fantastic location for us in finding talented employees. With numerous universities nearby training the future workforce, it’s a great city for us to be in,” Weller explains. In 2014, the office opened in the historic Rochester Savings Bank at 40 Franklin Street and has 12,000 square feet in the midst of the robust downtown business core. The region is also home to amenities outside of tech including famed sites such as the Susan B. Anthony House, George Eastman Museum and Memorial Art Gallery. When the company realized the demand for more employees called for more space, they moved the growing Rochester staff to the city’s Metropolitan Building in 2018. The new space can accommodate nearly 400 employees and was made possible through funding from the Finger Lakes Forward Upstate Revitalization Initiative. As a part of its company culture, Datto makes a point of fostering a diverse workforce geared toward women and minorities — traditionally underrepresented in tech — through events around women in innovation, as well as the RIT Women in Computing group. It posts all its jobs publicly on diversityjobs.com, and is involved with industry hackathons and meet-ups. Part of Datto’s mission to be a great employer is also manifest in its volunteer partnerships, and programs geared toward employee well-being. The Datto Cares volunteer committee in Rochester is involved with the region’s Breast Cancer Coalition, the Special Olympics of New York, IACKids, and the Edison Tech P-Tech program. Employees receive perks like free Friday lunches, unlimited snacks and drinks, excellent paid time off, parental leave and education reimbursement benefits. At its core, the relatively young Datto is continuing to focus on providing an excellent product while simultaneously expanding across the globe. As that presence grows, Datto’s customer services and support teams are providing great products alongside an excellent work environment. Over the past decade, Datto has expanded its top-notch data protection, business management and file backup and sync solutions for smaller businesses, as well as cloud storage. “Datto provides managed service providers the technology they need to help their small and medium-sized business clients with their IT infrastructure,” Weller explained. Datto’s offerings translate directly into help in good times and bad if a company’s network experiences anything from “an entire site loss,” to a disaster on the scale of 2018’s Hurricanes Florence and Michael, during which Datto enabled clients to continue to function relatively seamlessly throughout the storm and provided evacuation shelters with networking appliances to stay in touch with family and friends while networks were down. Innovative tech companies are thriving thanks to New York's robust R&D facilities, tech infrastructure and workforce.